Solar power is being utilized by water heating systems due to its infinite nature, efficiency, and environmental friendliness. Solar thermal utilization is growing around the world and is being used by homes, hotels, hospitals, schools, and even heavy industrial plants. The cost-effective nature of these systems along with their ease of installation and performance level make them a no brainer. 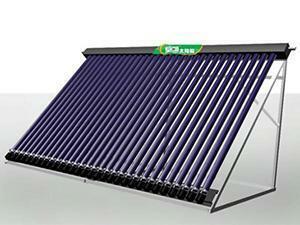 Himin solar hot water systems are being produced to solve your energy solutions. 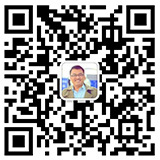 Applications of Himin solar hot water systemIn hotels, factories, dormitories, hospitals, schools and venues where the water consumption is proportionally higher, energy efficiency becomes extremely important. Our hot water systems allow for the effective generation and transportation of hot water with outstanding efficiency. 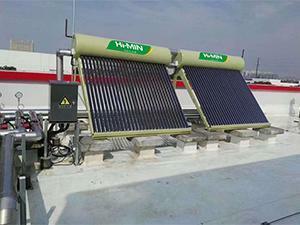 Applications of Himin direct solar hot water systemFor households and office buildings，where the water consumption is comparatively less and water usage is not as concentrated, a single solar water heater, or connected single solar water heaters can be installed.